A pack of two cloths that will effortlessly clean your shower leaving it gleaming. 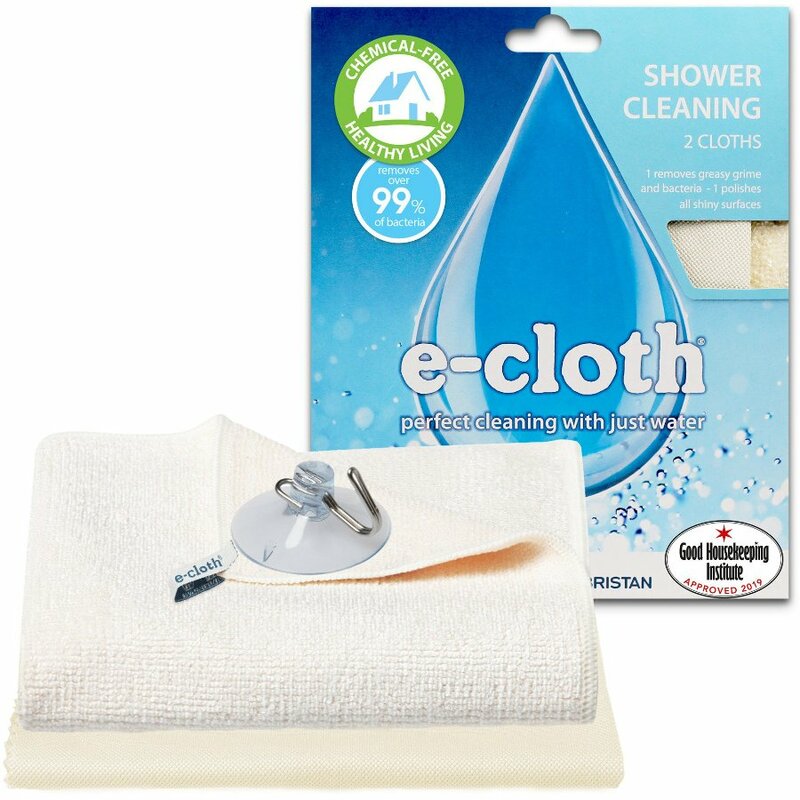 The shower cloth from E-Cloth is durable and highly absorbent so it will easily lift dirt, removing water marks, soap scum and grime from shower screens and tiles. Use regularly to prevent the build-up of limescale and hang on the suction hook provided. The pack also includes a glass & polishing cloth which has a specialist fibre construction and weave, increasing the speed at which moisture is absorbed to remove the lightest grease and finger marks from glass and other shiny surfaces.